Recently, an educator wrote a letter to the editor about not turning back the clock on educational reforms. Here is my response. The author wrote, “Just like a doctor, when we learn more-effective practices, we replace old, outdated ones.” Actually one of the best medical practices is to first do no harm. New medicines are usually tested on a small sample to see if they work. Rarely would a new drug be subjected to the whole population and then, keeping fingers crossed, watch the results. That’s exactly what Common Core is: a mass trial experiment using students as guinea pigs. It’s unethical. Bobby Jindal’s plan is to return to the GLE program of 2004-05. Those GLEs were evaluated as one of the best in the nation, but that evaluation clashed with Louisiana’s low ranking in the NAEP test results. What no reformer ever seems to understand is that poverty is the crippling factor in the state’s ranking, not the GLEs themselves. It’s the equivalent of saying that when a Louisiana automobile breaks down more frequently, it must be the car’s fault, totally ignoring that the wretched Louisiana roads can wear down even the best car. Address the real issue: poverty, not the standards. Another statement she made was “This plan reeks of politics….” Anyone who believes the world exists without politics is hopelessly naïve. All education plans go before an elected BESE board. All important BESE proposals go through the elected Louisiana legislature. All legislative bills go before the elected governor. That’s politics. Looking at the real world might adjust people’s perspectives. “Shouldn’t we allow the actual teachers to evaluate our progress thus far and improve the standards to make them Louisiana’s very own?” What a novel idea, except she misses the whole point. 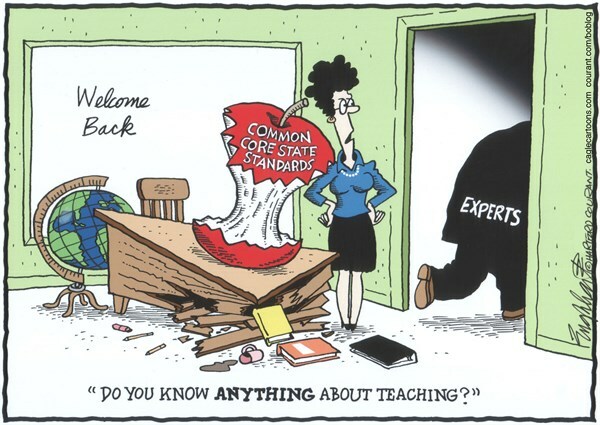 Actual teachers should have been involved in creating the Common Core Standards in the first place. It has been well-documented that the two dozen or so souls who created this albatross were not educators, possessed no experience writing standards, and lacked any knowledge of cognitive development in children. They were mostly test makers, period. She claims that Jindal’s plan is “a slap in the face to all of the educators and students who have worked so hard to prove that Louisiana can compete academically.” Actually Common Core and its PARCC tests are the real slap in the face: the passing rates for minorities is below 15%. Failing 85% of African Americans on a test is somehow making us more competitive? It’s demoralizing our students, the future of America, in a cold and brutal fashion. The author should also use logic more rigorously. She combines the graduation rate of 2004 (60%) with the GLEs of 2004, but correlation does not mean causation. GLEs were started in 2004, so they can’t possibly be the cause of a 60% graduation rate that year. Every year since 2004, the graduation rate has increased while the GLEs were in effect, so it must have done some good. And if Common Core is so wonderful, why did Louisiana’s graduation rate DROP in this past year? We have been transitioning to Common Core for four years, so some of that drop must be attributable to that program. On this quote she and I agree: “To the powers that be, I am asking you to make the right decision to put students first.” Restore Louisiana educational decisions back in our own hands. Only in rare cases does a one-size-fits-all approach ever work, and trying to make every state follow the same set of standards is exactly the opposite of what educators are often told, to individualize the learning for the needs of the learner. When a state adopts an ill-designed program and needs to pay thousands of teachers to become cheerleaders—teacher leaders—I say scrap the whole thing if it is unsalvageable. When it comes to Common Core, Louisiana and the nation would have benefited from the old saying, you can save yourself a peck of trouble if you do things right the first time. More than ever, I am convinced that supporters of Common Core and PARCC assessments live in their own little world, a world devoid of logic. Many of these supporters make terrible debaters. I witnessed a prominent officer of the Council for a Better Louisiana say that no one should believe what the opponents are saying. That’s always a good way to win an argument. Last week, I pointed out the lack of logical thought in a letter to the editor by Mallory Wall. My response was published alongside the latest salvo from Superintendent of Education John White. Tackling the problem of poverty, combined with those excellent pre-Common Core standards, is precisely the common sense approach we need. Oh, a competent, well-qualified Superintendent of Education certainly couldn’t hurt. I have already written extensively about White’s lack of credentials: two years in the classroom and six weekend seminars at the uncredited Broad Academy do not a competent Superintendent make. White’s underwhelming performance has caused a credibility gap reminiscent of the Nixon years, and internet memes of “White Lies” crop up everywhere. 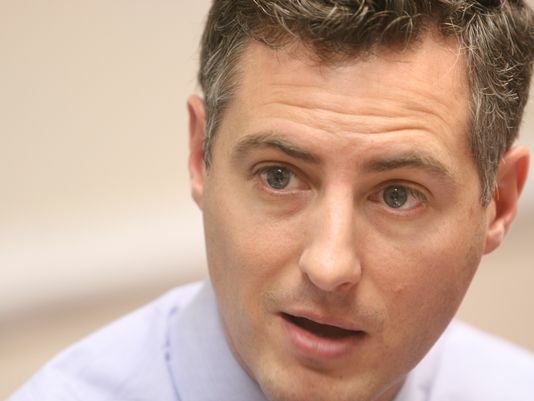 Adding to his insignificance was this letter claiming Louisiana should embrace Common Core. Too bad his logic was just as bad as Ms. Wall’s. Even more inconvenient for White was the publication in Education Week in 2005 that stated “Louisiana ranked number one for its standards and accountability for the second time in three years…” We were using those same standards in 2009, so what happened? How did they get so low? They didn’t. Louisiana had good standards. John White is, as usual, missing the point. The argument John White could have made—but didn’t—was that despite having top-notch standards, Louisiana students consistently scored near the bottom of the fifty states on the National Assessment for Education Progress (NAEP) tests. That is undeniably true. With a logic known only to himself, White then links Louisiana’s low performance with the standards. Translation: it’s the standards’ fault. Elementary logic 101: correlation does not imply causation. Just because Louisiana students perform badly on NAEP tests while we were using GLEs does mean it’s the GLEs’ fault. White ignores what nearly all of his ilk do: poverty is at fault. Louisiana could have the world’s most outstanding standards, and it won’t do much good against the crushing poverty that Louisiana students face. If students lack technology, solid home structures, even the basics of food and warmth—all things caused by poverty—then they will not perform well on these tests. But according to White, the problem is not poverty. It’s the standards. Now firmly entrenched in his tangent, White goes for broke. He says Louisiana participated in creating Common Core Standards—a dubious claim at best—and gives the usual statement that 100+ educators formed committees to review the standards. With so much misinformation from White, unless he names some people, no one will believe these 100 souls exist. I agree. Politics DID enter the mix. It’s how White got elected as Superintendent of Education. Numerous authors besides myself have documented the tortuous path that White took to becoming the State Superintendent. Of the eleven BESE board members, seven were in favor of White, but four were staunchly opposed. Needing eight votes, Governor Bobby Jindal, White’s one-time friend, poured tons of money into the elections which were conveniently near, and secured the removal of two of those opponents, thus guaranteeing White’s selection. We’ve been paying for that political move ever since. The Pinocchio meter yells “False!” Louisiana can compare its students to NO OTHER STATE. Pearson made the PARCC tests for ten states, and those ten states can compare themselves to each other. Louisiana has no contract with Pearson so students did NOT take a PARCC test. Instead we contracted with Data Recognition Corps, which does provide some questions to Pearson, but how many and who knows are anyone’s guess. Louisiana students took a PARCC-like test, and it would behoove the media to stop reporting it as the PARCC test when it is not. No matter how much White says it, we can compare ourselves to no one. In closing, I will point out that White said that Louisiana should “embrace a pragmatic approach to the future.” I completely agree. Common Core has become an albatross around Louisiana’s neck, and a sensible approach would be to return to the standards that were once ranked the highest in the nation. Tackling the problem of poverty, combined with those excellent pre-Common Core standards, is precisely the common sense approach we need. Oh, a competent, well-qualified Superintendent of Education certainly couldn’t hurt.